Home Renovation: Where to Start and When to Stop? A home inspector will assess the house from top to bottom to determine areas of the house that need improvement or attention. Perhaps your master bathroom needs new plumbing? Could your kitchen counters use a facelift? They may even find faults with your home that you weren’t even aware of such as problems with the foundations. Having a list of improvements your home needs will allow you to prioritise the jobs you wish to undertake. After the home inspector has given you a list of possible improvements that can be made to your home, decide what it is you specifically want to get out of the renovation. Do you plan on living in the home after you’ve finished work, or are you renovating the house in order to increase its sale value? Take advantage of the useful home planning resources available online to ensure your renovation doesn’t get out of control. Before committing to the improvements, evaluate the age of your house as well as the types of houses in the neighborhood. Adding a stainless steel island to the kitchen of a Victorian home will not enhance the décor and has the potential to negatively affect the value of your property, should you attempt to sell it. There are helpful tips designed to help you update your old kitchen without affecting the resale value, if you live in an old property. When undertaking ambitious home improvement work, it’s all too easy to overspend and you can end up with uncompleted work with no means of finishing it. Many of us are avoiding DIY work as we simply can't afford it. Calculate a full budget for your work and consider using online tools for financing options if and where necessary. 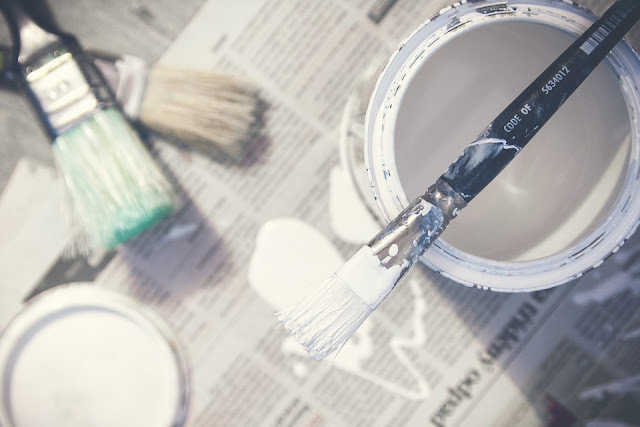 The simplest, yet most important thing to consider when freshening up your home with a number of DIY projects is not to rush. If you are using contractors to complete work, you obviously would want to keep them working to a realistic timescale. However, if you try to rush through different jobs you’ll find that they won’t get completed to a high standard and they might need redone which will take longer overall. When contemplating renovations you want to make to your home, several factors will ultimately determine the changes you will make. Having a home inspection will help you determine what needs to be fixed and what you can simply upgrade. Plan out which things you want to work on based on your future plans of living there. Ensure you don’t upgrade your house beyond what’s appropriate. Keep the renovations within the age of the house while still making improvements on its functionality. Work to your predetermined budget so you don’t end up in debt, and don’t rush your individual projects. Take all the time you need to ensure that work is completed properly. Good tips - i never thought about a home inspector! Unfortunately too many people rely on the mortgage company's survey and then find that it is so basic that there are lots of problems that remain hidden - until they purchase and things come to the fore. Worth paying out for a full survey and saving money in the long-term I think.